Well, now we have an idea why James Cameron has continued to delay his Avatar sequels. The director came to CinemaCon 2016 to announce that his vision for the world has expanded beyond the previously announced four films. Now there will be five. Avatar 5 will be released Christmas 2023, following Avatar 2 at Christmas 2018, Avatar 3 at Christmas 2020, and Avatar 4 at Christmas 2022. Each film will stand alone but also tell a complete story in this epic saga, Cameron said. 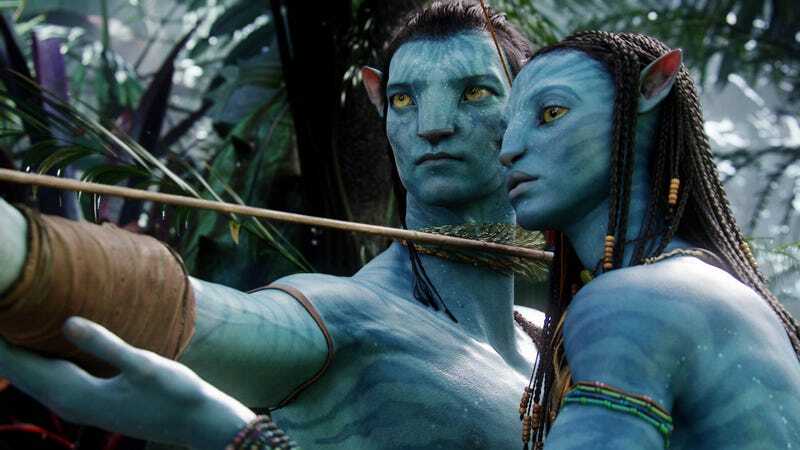 For the past several years, Cameron and a team of writers and designers have been working on the scripts and designs for several new Avatar movies. First he was planning it as a trilogy, then as a series of four, and now it’s five. At CinemaCon, Cameron said that the stories he and his writers were developing kept growing bigger and bigger. And when you’re following up the highest grossing film of all time, the company is fine with that. Cameron said that the few people who have seen the designs he and his team are working on have been left speechless. “The pure imagination is far beyond the first film,” he said. There will be new characters, new creatures, new environments, new cultures, and more. A quick flurry of concept art flickered on the screen, and there were Na’vi jumping off cliffs, flying over oceans, burning ships. All of it familiar, but exciting, Avatar imagery. Now we’ll see if the filmmaker, whose been working on these movies for several years already, can just stop and make them.